JYJ's Junsu reflected on the last few years of his careers in a recent interview and photo shoot for the December issue of fashion style magazine @star1. During the interview, Junsu was asked if he was proud of the results he has gathered for yourself the past four years as a solo singer. 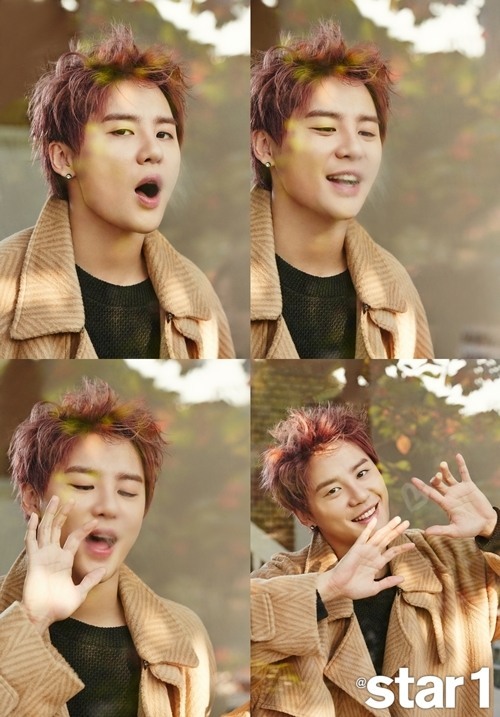 "Of course I can't be 100% satisfied," Junsu said in response. "But I tell myself that when I'm on stage, that's the best I can give." He then thanked those around him with their endless support. "The circumstances were rough but I think that I was able to produce the best results with the best I've got, with the people I have around me." In addition, the reporter than asked "how will JYJ be different once all the members come back from the army? ", "I think we'll be able to show what only men in their 30s can show," he said. "We always told ourselves that age 30 is just the beginning for men."